Habana Vieja (Old Havana) is a marvelous blend of old world charm, historic architecture, street cafes and lively entertainment. There are many daily performances to celebrate the historic past of Havana. 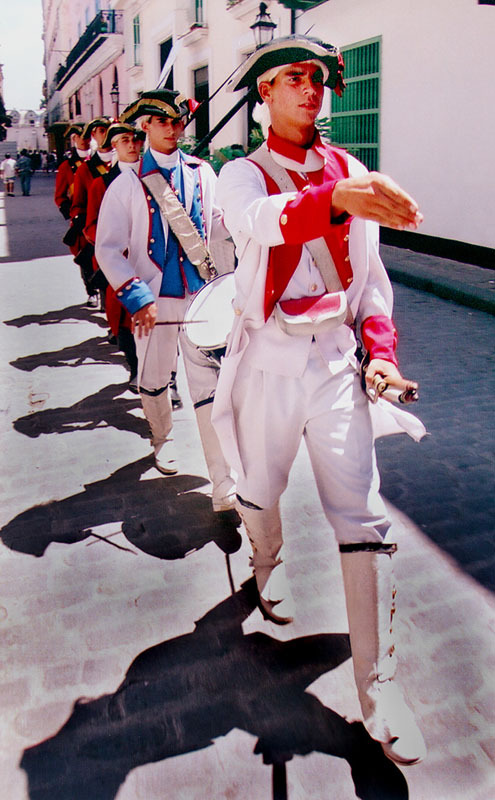 These "soldiers" are dressed in period costume and march through the old city bringing back memories of days of old. You know the soldiers are near when you hear the marching cadence of the snare drum.